So grab a cup of coffee or tea and let’s hang out … Do people still say that? 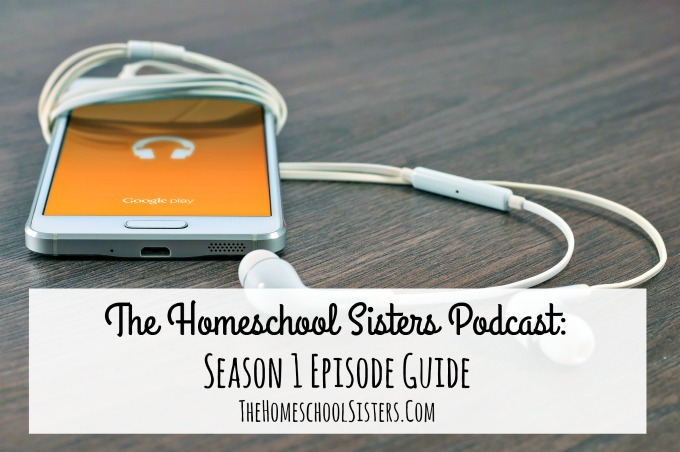 Here is a list of all the episodes from season one of The Homeschool Sisters Podcast. 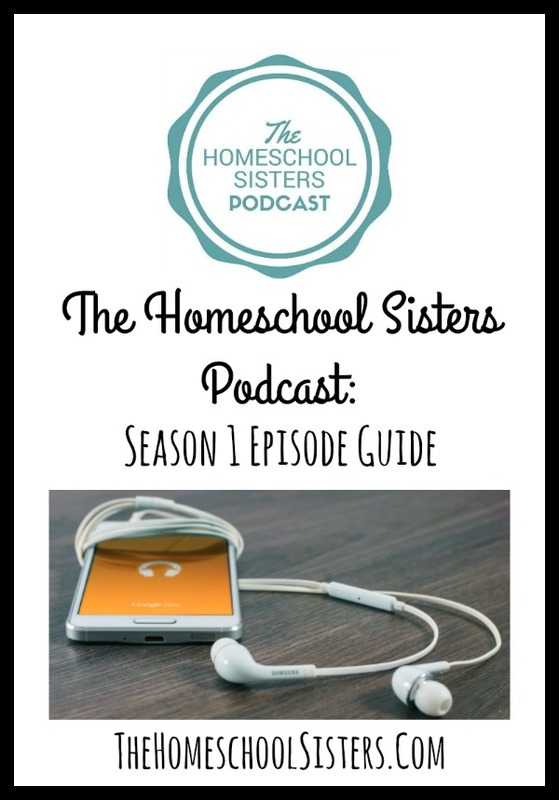 In this first episode of The Homeschool Sisters Podcast, Cait and Kara discuss homeschool overwhelm. As homeschooling moms, it can be a challenge to balance everything! From homeschooling to laundry to dinner to self-care, it’s not uncommon to feel overwhelmed and overextended. The transition to summer can be a tricky one. Finding a rhythm that works for all members of your family is no small feat. As a homeschool mom who has been running full throttle all year long, you need a break. But is a break even possible? While you fantasize about ice cream sandwiches and leisurely summer reading on the front porch, your children might be craving more structure and routine. So, how do you strike a balance? How can you achieve a memorable summer without feeling completely exhausted when September rolls around? Cait and Kara are struggling alongside you. In this episode, the sisters talk summer survival and trying to find the sweet spot when it comes to how much to do, and when to pack up your beach ball and just go home. From fireworks and parades to summer book clubs and pool-phobia, the sisters will help you feel better about doing summer your way. 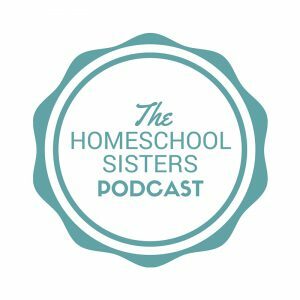 In this episode of The Homeschool Sisters Podcast, Cait and Kara discuss what it is like when dad works or travels a lot. It can be stressful to be the only adult on duty, 24/7. Bedtime becomes more challenging, washing machines break, and the last thing you want to think about is dinner. Cait and Kara have been there, too, and they have some survival strategies to help you through it. From games to fantastic audiobooks to dinner picnics, we’ve got you covered! Cait and Kara want to send a huge hug to all the single mamas out there who rock solo-parenting day in and day out. If you know a single mama, ask her kids over for a playdate so that she can get lost in a bookstore, savor a silent moment, and enjoy her coffee steaming hot! In episode 5, Cait and Kara reflect on the early years of homeschooling. They share tips and tricks for those just starting down this path, and impart their favorite piece of advice- that you DO NOT have to do it all, especially your first year. Listen as they chat about deschooling, finding your tribe, and how your house will never be the same, but in a really awesome way. Do not worry if this is your first year. Your sisters have got you covered! In this episode, the sisters chat with one of their most favorite people: Shawna Wingert. Shawna is a writer, speaker, author, and homeschool mom to two amazing boys with special needs. Do you ever feel like your homeschool doesn’t or can’t look like the homeschool next door, or the family at church or co-op, or even all the families on the internet? Shawna joins the sisters to remind you that it’s OK and that just because you have to do things a little differently, that doesn’t mean what you are doing is less. The sisters have been getting lots of questions about planning for the fall. In this episode, Cait and Kara share all of the resources that they are excited about using in the upcoming year. And, with five children and an age range of 5-12 between them, you’re not going to want to miss what they have to say! … and sometimes, you might find yourself afraid to go biking at all! It’s hard enough to make the space for exercise as a mom, but when you add homeschooling to the mix things get even trickier! One of the most common questions the sisters get is about rhythms and routines. How to start one? How to resume one after a break? What about when your rhythm or routine is just NOT working? Cait and Kara hash it out in this episode and share their tips and ideas. The biggest one? Start small! Cait is a game-master, Kara wants to be, but things keep getting in the way… like directions. So in today’s episode, Cait shares amazing ideas for adding more games to your days, for both learning and fun. The sisters talk favorite games old and new, games for certain subjects like science and math, why it’s OK to NOT love a game even if everyone else does, and the many, many lessons kids can learn from growing up playing. So join us as we roll the dice, spin the wheel, and share easy tips for incorporating more games into your homeschool- such a fun way to learn together! The holidays are here and if, like us, you are feeling just a *little* behind, grab a giant cup of coffee or tea and curl up with this episode! The sisters are joined by Melissa Camara Wilkins, mama of six, writer, homeschooler, and the sisters’ favorite resource for living simply and authentically. 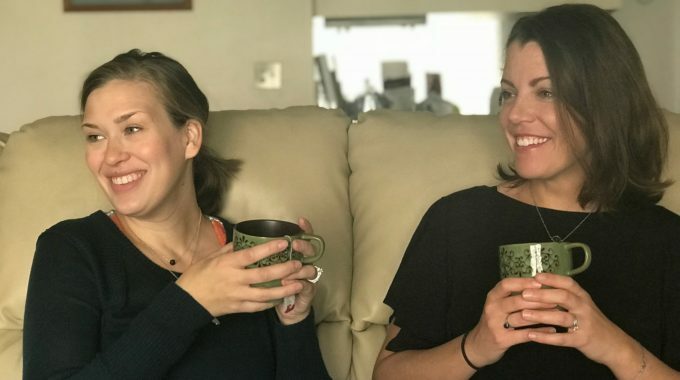 Listen as Melissa shares two questions she asks herself and her family each season to bring joy instead of overwhelm, and as Melissa, Cait, and Kara share their favorite EASY traditions. Don’t freak out sisters- you’ve got this season! TELL US: do you have a favorite episode from season 1? SHARE HERE!